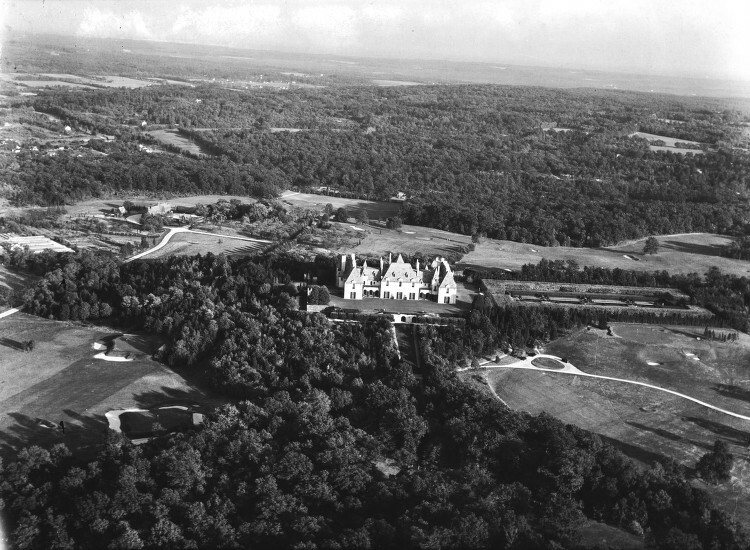 An aerial of 'Oheka', the Otto Hermann Kahn estate designed by Delano & Aldrich c. 1915 in Cold Spring Harbor. Click HERE and HERE for more on 'Oheka'. 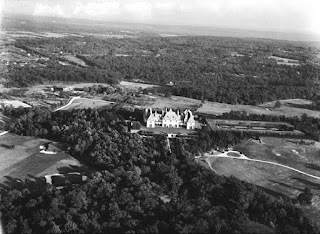 This aerial is part of SMU's Robert Yarnall Richie Collection and was taken between 1932-1934. Click HERE to see 'Oheka' on google earth and HERE on bing. remember correctly he even had something to say about the proportion of the house to Kahn's ego? Viewed from a distance, in the winter, it made a lovely ruin. Yes it did, although even with the ugly addition, it's good to see it come back. Quite a magnificent aerial view of a gorgeous estate and manor house. It seems to be a house with 9 lives. There. Got that off my chest.